She's the ringleader of the classroom circus, the rock star of the school stage. 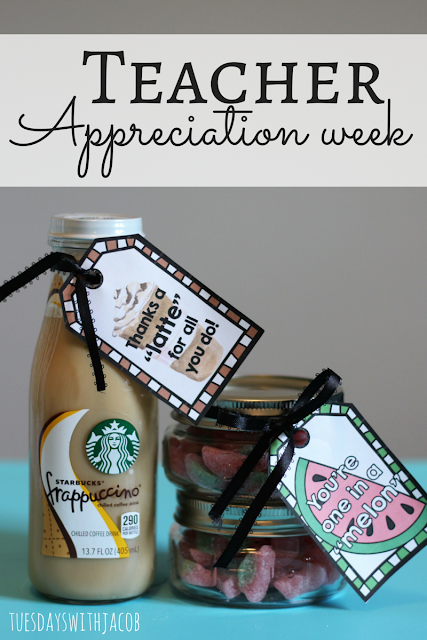 She's your child's teacher, and this week it's all about her! 3. did I mention coffee mugs? No seriously, unless she is a brand new teacher she probably has a million coffee mugs. I'm speaking from experience here. If this week snuck up on you, and caught you unprepared, don't worry! I have two simple ideas that will make you look like you run the PTA. 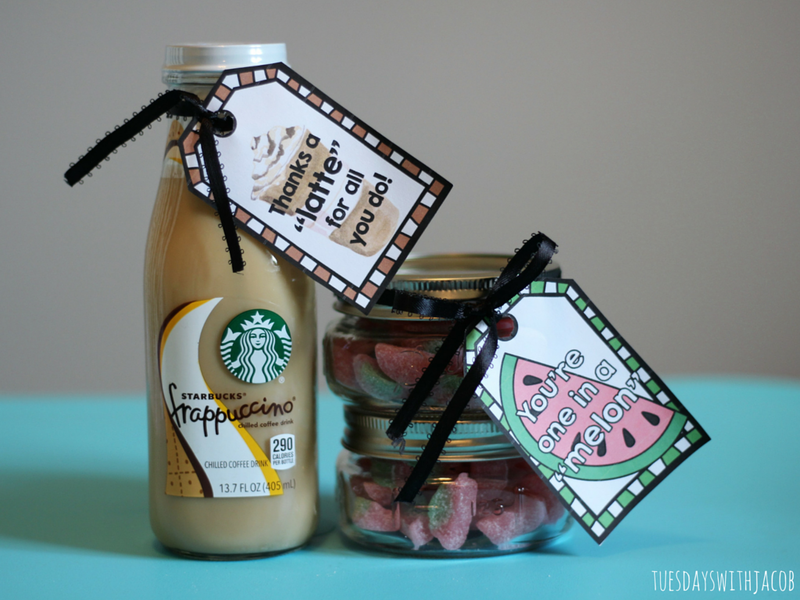 All you need are the labels, which you can print out HERE, a jar, ribbon, coffee, and watermelon candies. 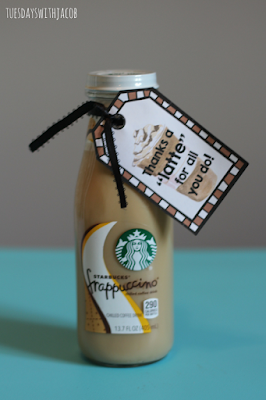 Simply print out the tags and attach one to the coffee. 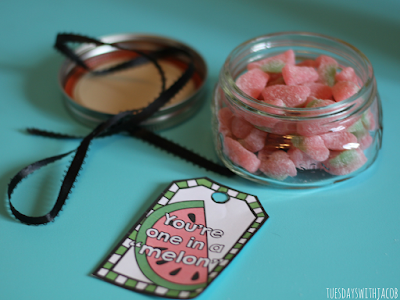 Then remove the candies from their plastic bag and fill up one of your jars and attach the tag. Voila! 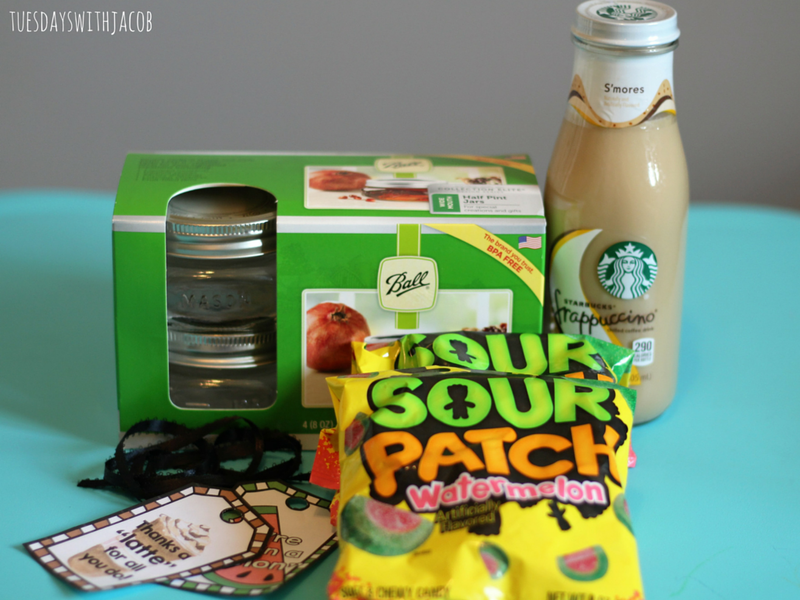 Quick, easy, and something she's sure to appreciate! Here's to teachers! May they be as strong as the coffee they drink!